Six years earlier Dan Springer's wife was murdered and their one month old baby disappeared. Although he never gave up the search for his daughter, Dan had almost given up hope--until he received a call that leads him through the glitz and glamour of Las Vegas and into the heart of rival Las Vegas mobs. In his quest to learn the truth Dan finds that the road is paved with lies, deception, and murder. At her mother's deathbed, Lisa learns a horribletruth--at birth she was the subject of an illegal adoption. Overwhelmed with this revelation, Lisa becomes obsessedwith finding her biological parents. Her search takes her into the world of one of the wealthiest men in america, James Johnson. A man with a diabolical secret which, if discovered, will destroy him. Lisa, unaware of this, continues to dig and each step brings her closer to learning the truth...and to death. When Las Vegas singing superstar, Colette, is murdered, her promoters find a look-alike, Debbie Gunther, to capitalize on the fallen star's fame. 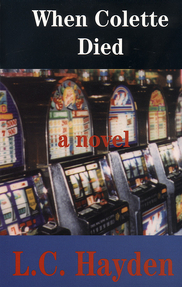 But on her first day at the Crystal Palace Casino, she receives a threatening note. At first she ignores it as a prank, but later she can't ignore receiving Colette's death dress or the person who is stalking her. 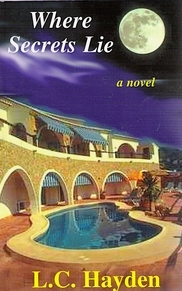 The only one she can confide in is a young reporter, Dan Springer, who is looking for the truth about Colette's death. Along the way they fall in love and Dan's search takes on a new urgency as he frantically works to save Debbie's life. The first eighteen years of Susan Haynes' life are a complete blank. Finding her past is not a priority until she goes to the daycare center to pick up her four-year old son Timmy. The center insists that Susan had already picked him up, but Susan knows better even though everyone doubts her. Susan is then forced to search alone for her son while the world around her crumbles as her past and present interweave to reveal a shocking truth. Sadly, Susan realizes that if she is to save her son's life, she must first answer the question: WHO'S SUSAN? Elsie (L.C.) 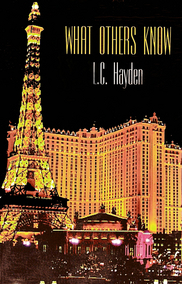 Hayden is a retired school teacher from El Paso, Texas who has been a prolific writer for over twenty-five years. 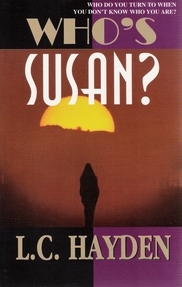 Her first novel, Who's Susan? was published in 1997 and she's been busy ever since. Hayden lives with her husband and family in El Paso, Texas, where she is at work on her next writing project.